The Tim Burton exhibit is closing on Monday, October 31st, and LACMA is sending the popular retrospective off in style with extended hours and special events. The exhibition will remain open for thirty-eight hours straight from 10am on Sunday, October 30th to the stroke of midnight on Halloween night. Tickets to the exhibition will be half price from 12am to 9am on Monday morning. Other events include Saturday’s 8th Annual Muse Costume Ball and a Vincent Price movie marathon on Sunday. 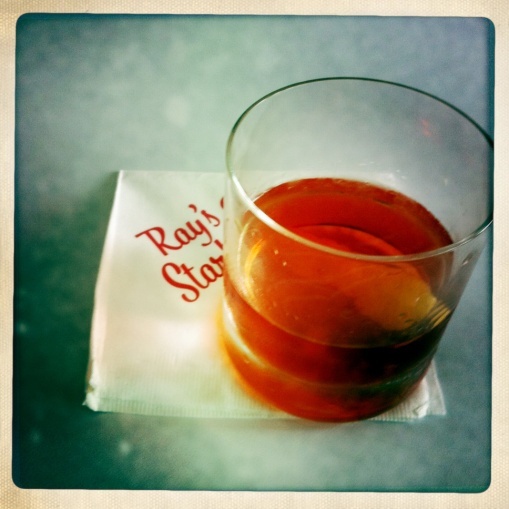 Ray’s & Stark Bar is joining in on the fun with a special menu, a paired cocktail, and extended hours. A $45 three-course, prix fixe menu by Executive Chef Kris Morningstar features Jack-o’-Lantern Soup with ricotta toast and sage-pumpkin seed pesto; entrées like the Meat and Bones Hanger Steak, with bone marrow and green pommes purée; and Chocolate and Orange Mousse with “tombstone” tuile for dessert. To toast All Hallows’ Eve, Stark Bar has created the Apple Jackerac ($12), a seasonal twist on the classic Sazerac made with Apple Jack Brandy, Tariquet Armagnac, “pumpkin pie” spice syrup (clove, nutmeg, cinnamon, star anise) and absinthe rinse. Both the prix fixe menu and the specialty cocktail will be offered from Saturday, October 29th through Monday, October 31st. Tim Burton exhibit extended hours: open from 10am on Sunday, October 30th to 12am on Tuesday, November 1st. For more information and the complete schedule of events for the Tim Burton closing weekend, visit www.lacma.org/burton-closing-weekend-events. Apple Jackerac photo by Ray’s and Stark Bar.